It arrived yesterday in the mail. I had began to stalk the mailman, knowing I would see his car at the end of my driveway sometime around 1:30 PM. There it was. 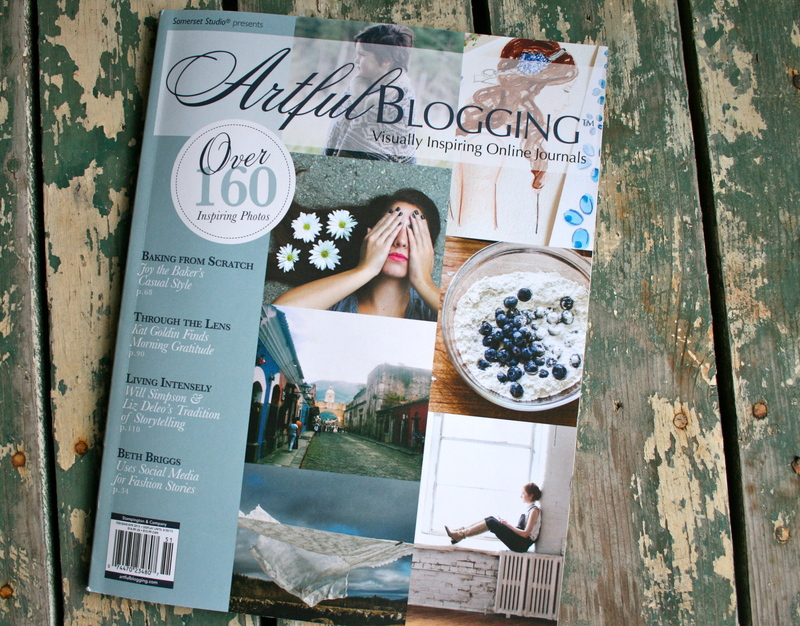 I tore open the plain grey plastic wrap and held my advance copy of Artful Blogging. Long before I began my little blog, I poured over pages of this magazine. Filled with amazing stories about bloggers of every subject matter. 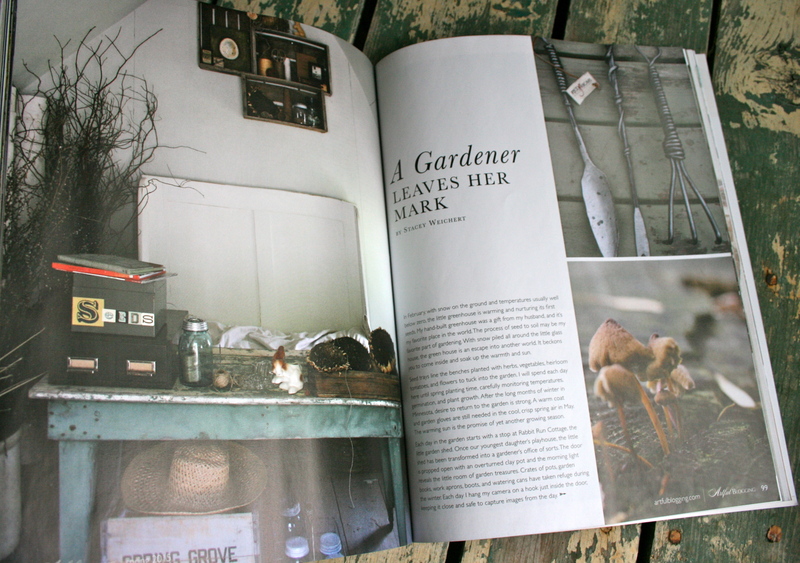 Beautifully written stories of their blogging journey, and page after page of beautiful images. When Managing Editor Danielle Mohler contacted me this past Fall to ask if I would write an article for this issue, I was so excited and honored. Thank you to Stampington & Company for this opportunity to share my little garden with your readers.